I was first introduced to the new Box subscription trend from a post on Refinery 29 back in April. 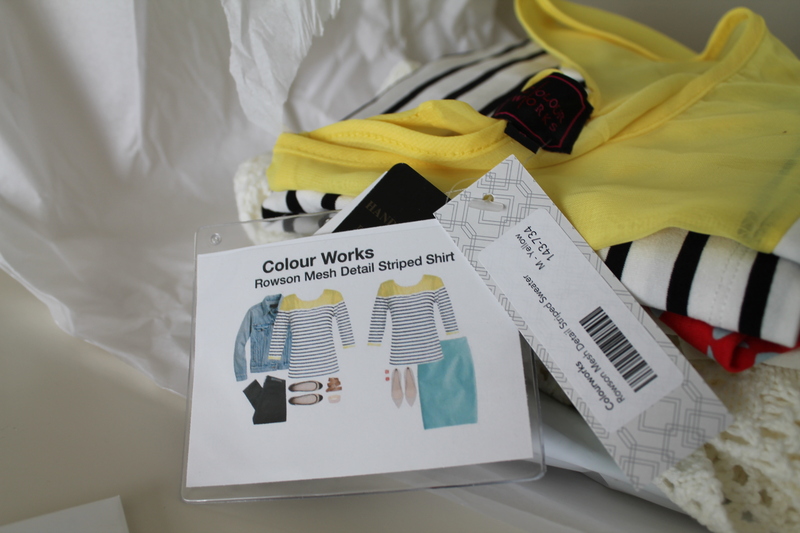 After a lot of internet research and comparing both Tog + Porter and Stitch Fix, I decided to go with Tog + Porter first because I really liked some of the items I saw on other peoples blogs, and you could set your price point for that one. 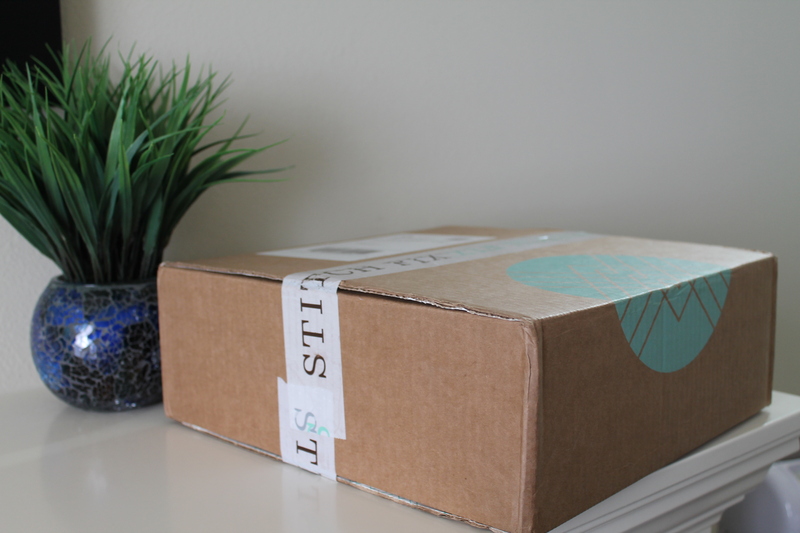 After a very disappointing experience with Tog + Porter (which I’ll post about later, I’m giving them one more chance at redemption) I decided to see how Stitch Fix worked. 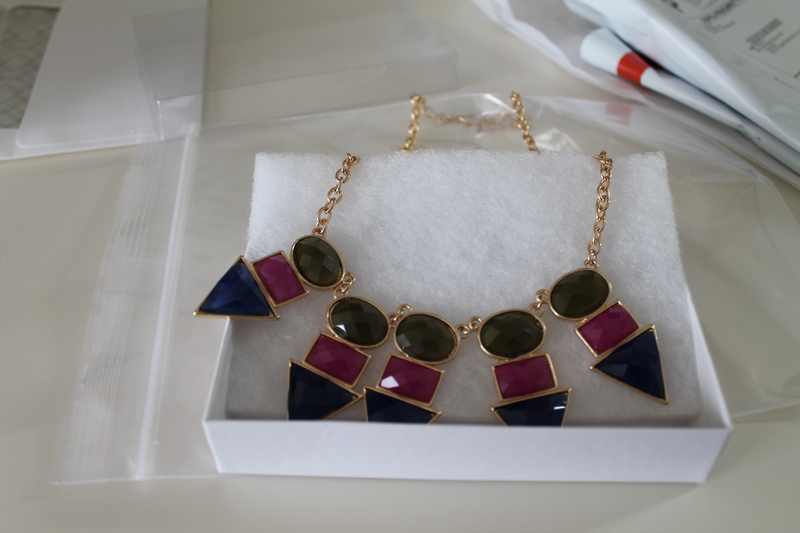 I started by visiting the website for Stitch Fix and created a new account. After this, they ask you quite a few questions about sizes you wear and preferences. They also asked you about specific trends and which ones you’d be interested in trying and which ones you’d like to pass on. They had a very helpful section with pictures and you could say if you like some of the pieces, all of the pieces, or none of them. They were grouped by style type and helped identify the types of things you go for. I also really liked that they asked questions about how much you wanted to cover certain body areas, and what your proportions were. I could even choose to avoid having them send bottoms since this is typically a tough area for me unless I try it on in a store. Additionally they ask about which occasions you are looking for, which for me was mostly casual and work. After answering all of the questions and feeling like I was able to present a pretty clear picture of what I was looking for, I got to schedule my first fix. I was even able to pick a date about one week in the future! I was thrilled with the ability to choose the date and schedule when I wanted to receive it, since it’s been 2 months since I’ve heard anything from Tog + Porter and my “stylist” gets angry when I try to ask why it’s taking so long. Here I can just pick a date on a calendar, and then magically it appears. Right on time, as scheduled my first box arrived with it’s teal logo and I eagerly brought it inside to begin digging out the contents. The first thing I saw when I opened the box was an amazing card that shows you two ideas with complete outfits that would compliment the item. I found this really helpful since I often see cute tops and wonder, “what would I wear this with”? At a glance, looking at the stack I could tell these were all items I was interested in trying on. The colors were right on and the styles were similar to what I wear but just enough different for me to feel a little more adventurous. The necklace on top was adorable, and very much like some of the statement necklaces I’ve been wearing all summer but with a fresh new set of colors. I then took my box of goodies upstairs and began trying them on with both some of the suggested outfits (for the pieces I had) and tried a few combinations of my own. They recommended wearing this top with a teal pencil skirt and black flats, but I didn’t have a teal pencil skirt. I instead decided to go with a deep purple pencil skirt instead, some black flats and the new necklace. I wouldn’t have thought to try this on my own, but I liked the overall look. 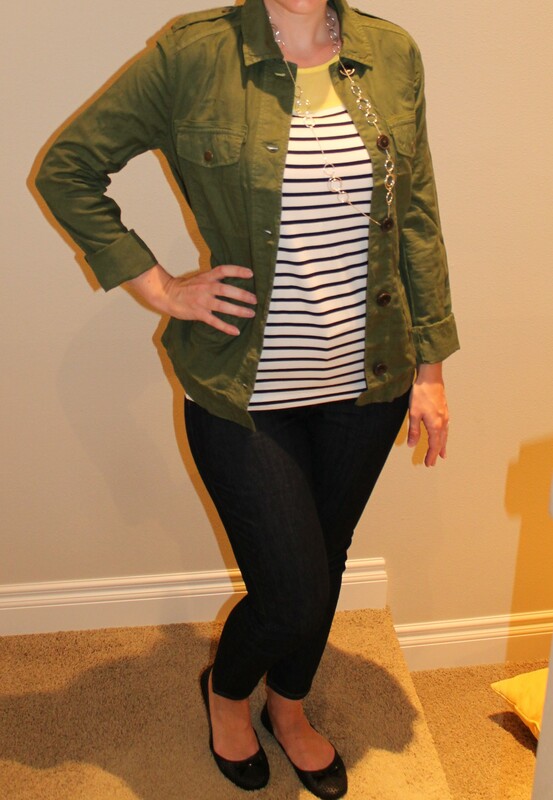 I thought I’d also try it in a style that is more like what I would throw on for work with an army jacket and jeans. I like it this way too. 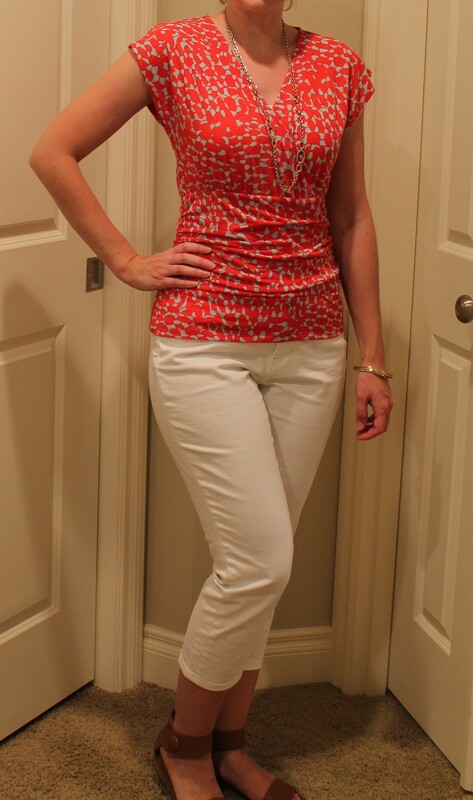 Next up, I paired the red short sleeved ruched top with some white capri length jeans, a few gold bangle bracelets, and my brown ankle strap sandals. This top was a little more fitted than I’d usually go for, but I loved the colors and overall it was a pretty cute work outfit for a sunny day. This blouse had a slightly more edgy feel, and definitely needed to be ironed, but I loved the way it felt and looked on. 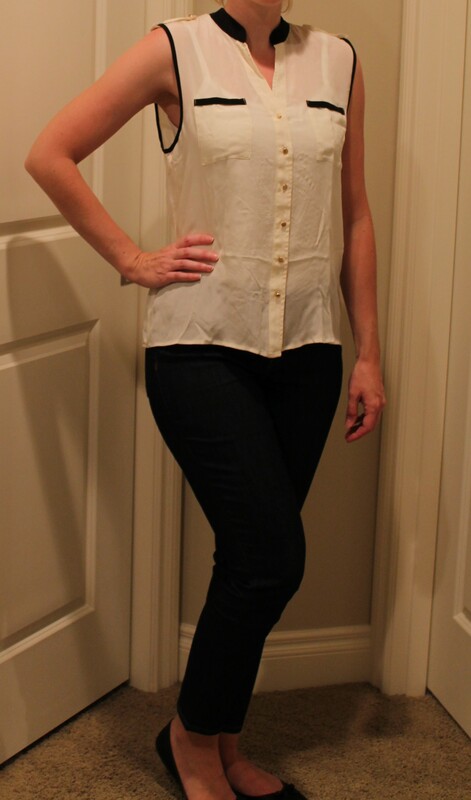 I wasn’t sure what kind of jewelry to wear with it, so I kept it simple with black skinny jeans and black flats. 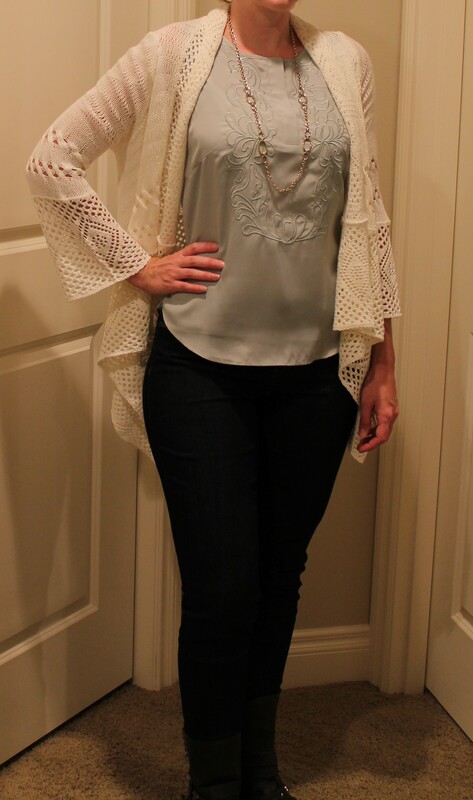 Last was this bohemian feeling cardigan with bell sleeves. At first I wasn’t so sure about the fit since it is rather flowy and open, but when I paired it with this mint green silk shell I have from H&M I really liked the overall look. I tried it with some edgy moto style boots, and I think it might look good with knee high brown ones as well or maybe just sandals. After trying everything on and thinking about what else I could wear the pieces with, I decided to keep all 5 items. When you keep all 5 items, you get a 25% discount which made everything completely reasonably priced. There is also a $20 styling fee, but that can be applied towards anything you keep, so I only ended up paying for the 5 items – 25%. 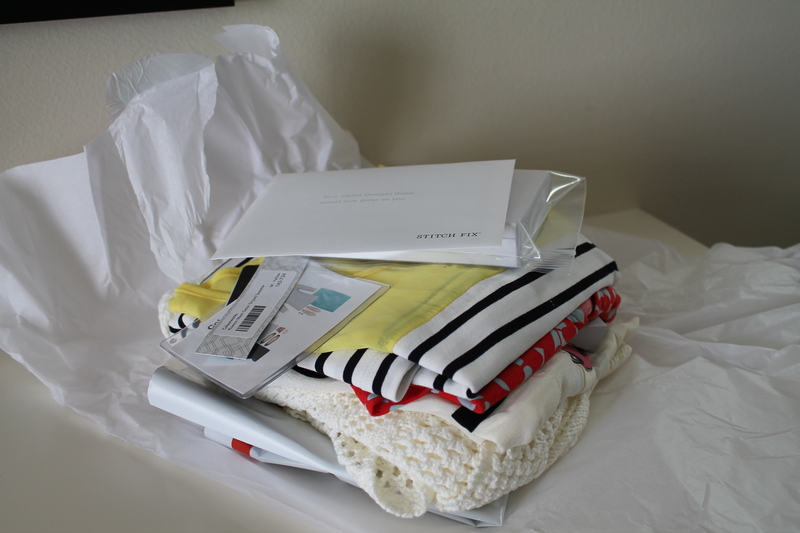 Based on my first experience, I’d give Stitch Fix a great big thumbs up. There were no awkward Skype conversations, they stylist did a great job picking items that fit and worked with my style and budget, and the best part is you can decide when you want your next one. I’ve already set up box #2, and cannot wait to see what they pick out next!